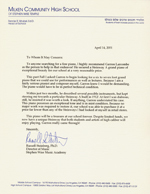 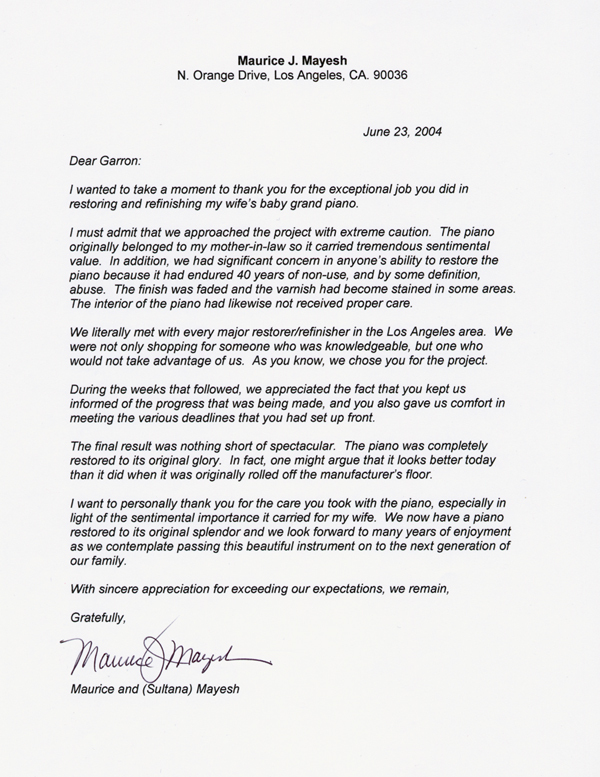 Our business is more than great pianos at great values. 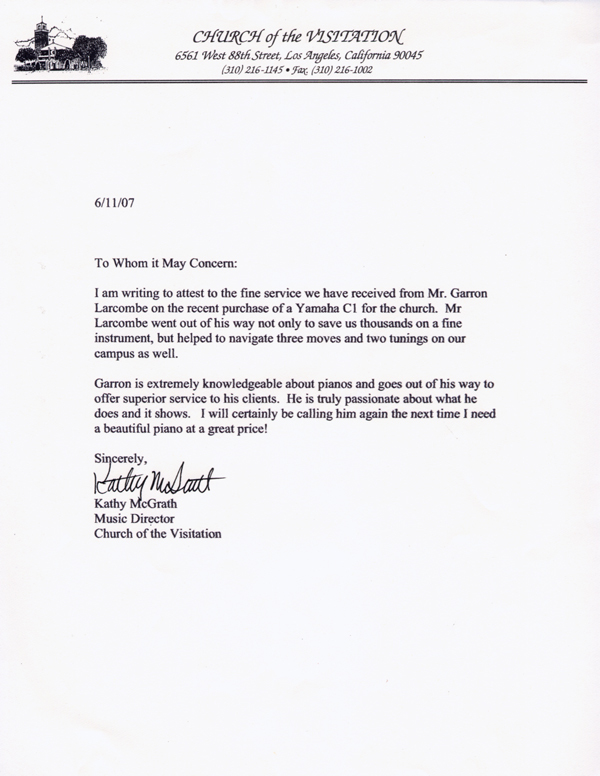 We are dedicated to personalized service and 100% client satisfaction. 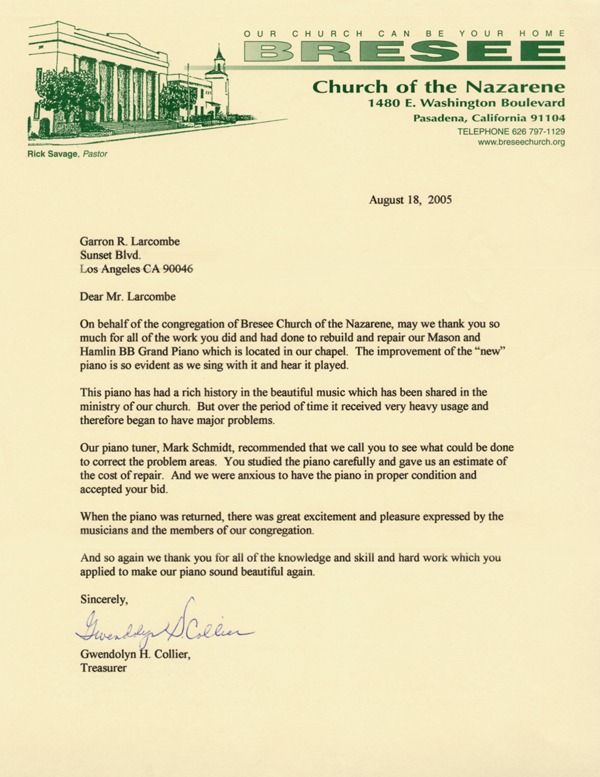 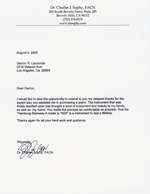 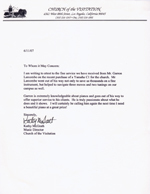 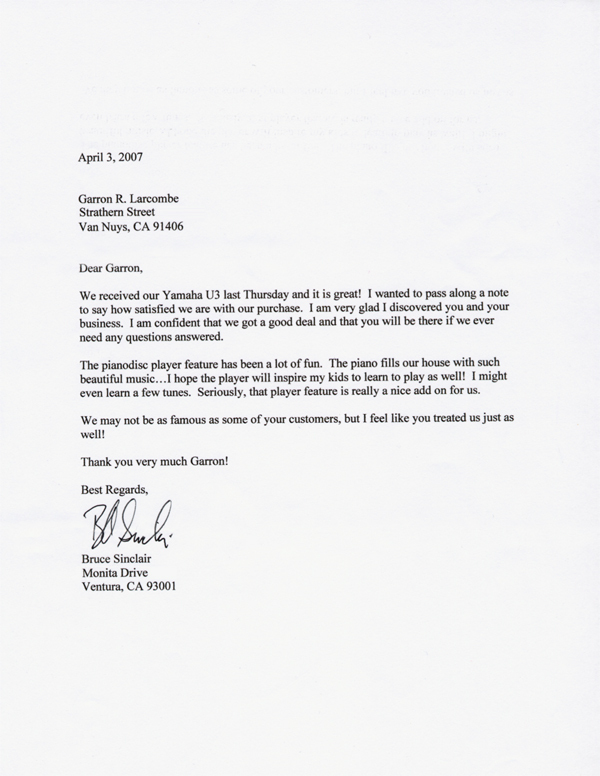 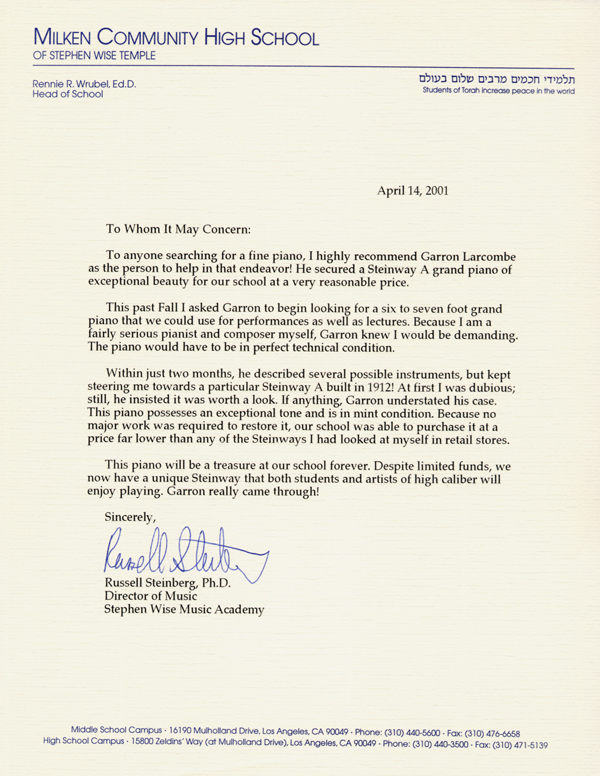 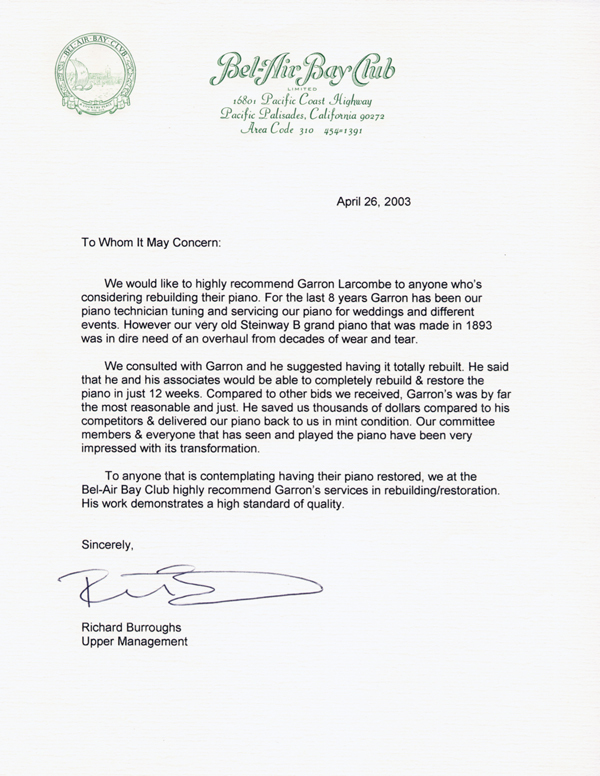 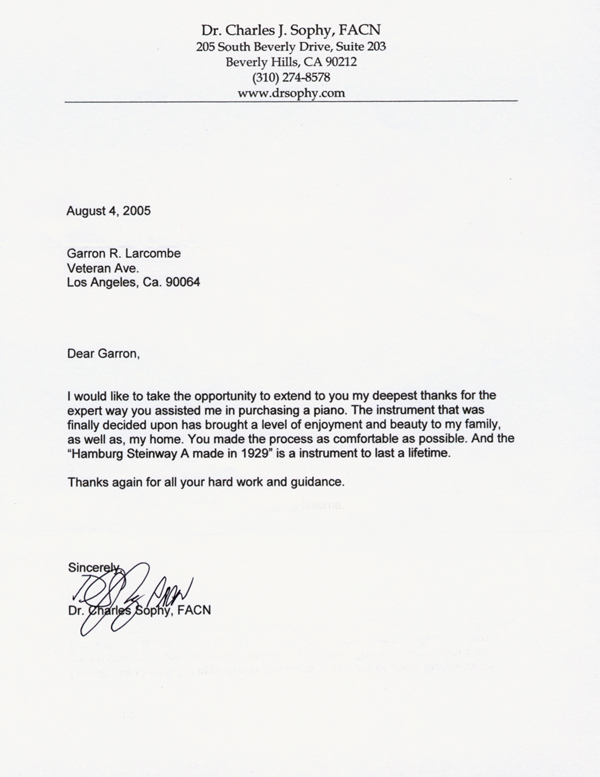 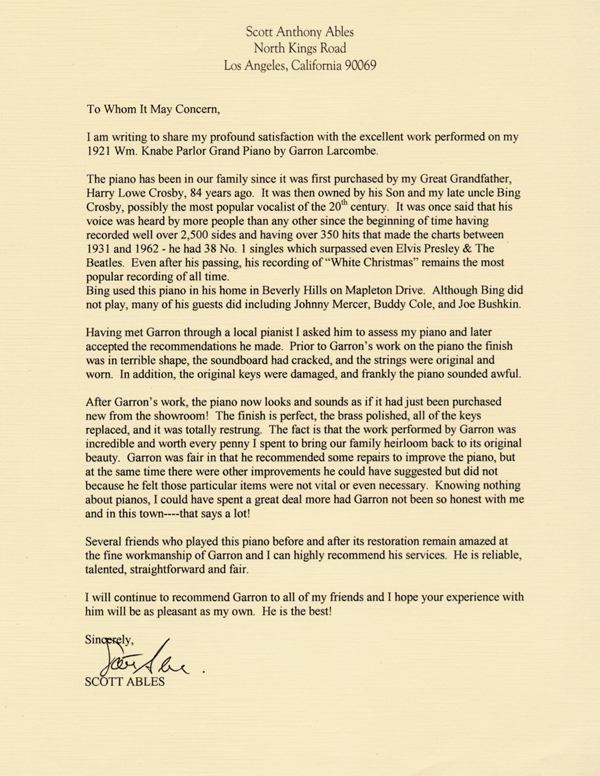 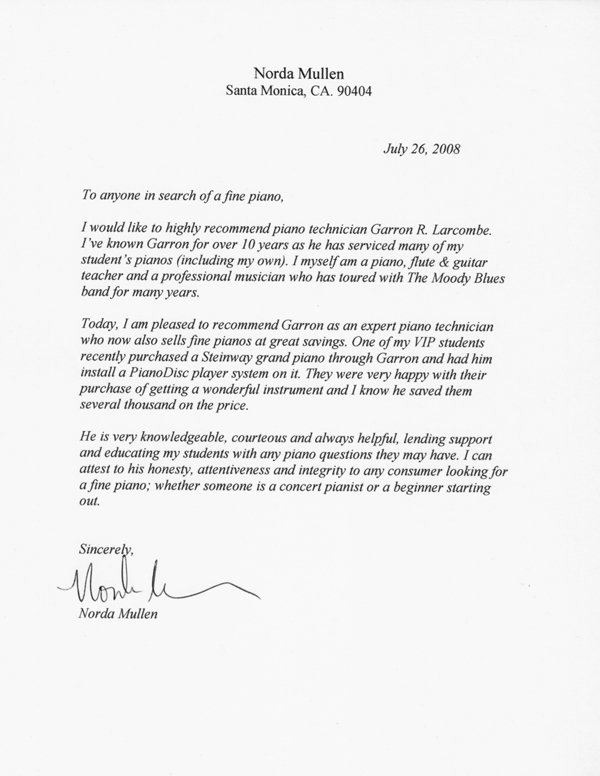 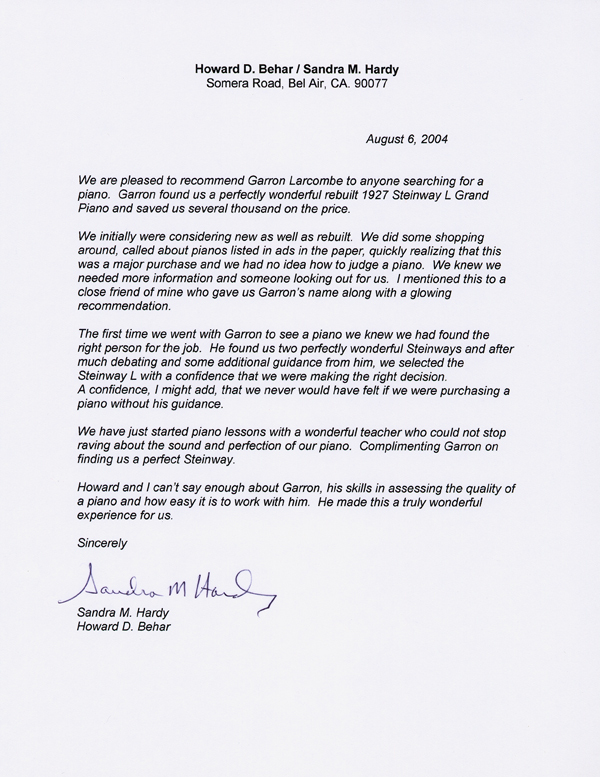 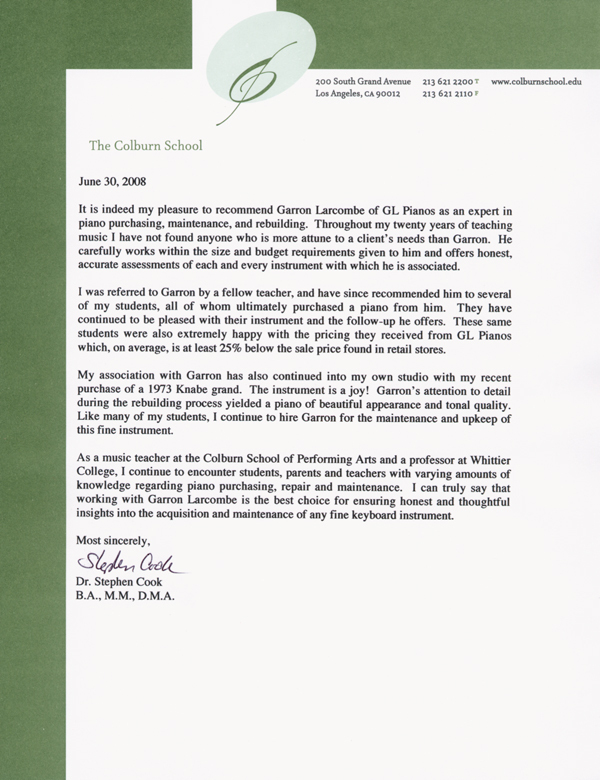 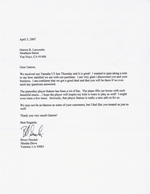 Below are "authentic" testimonials from just a few of my clients (piano sales and restorations). 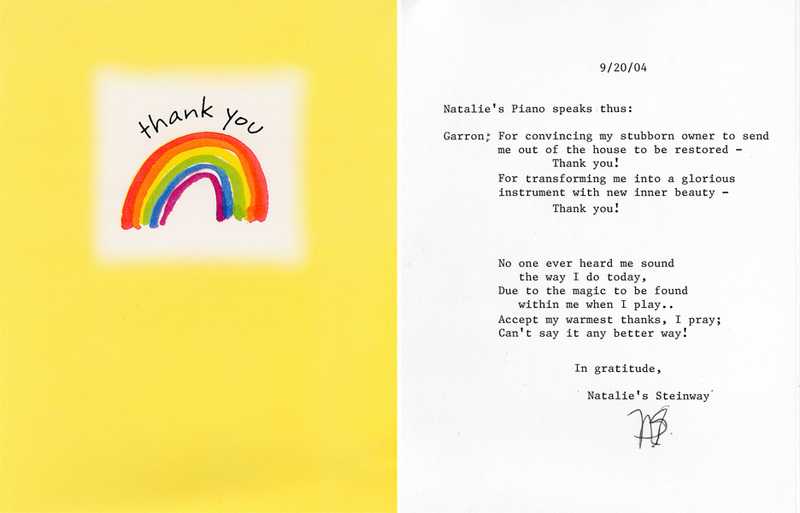 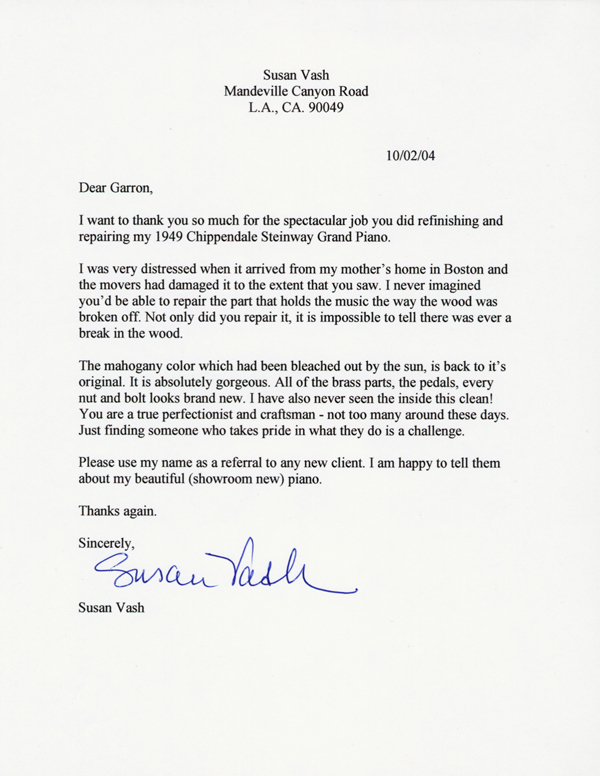 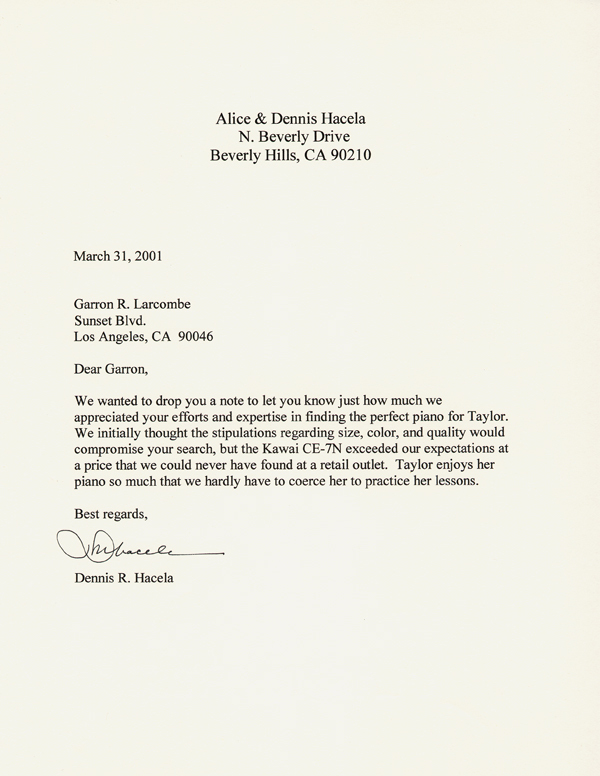 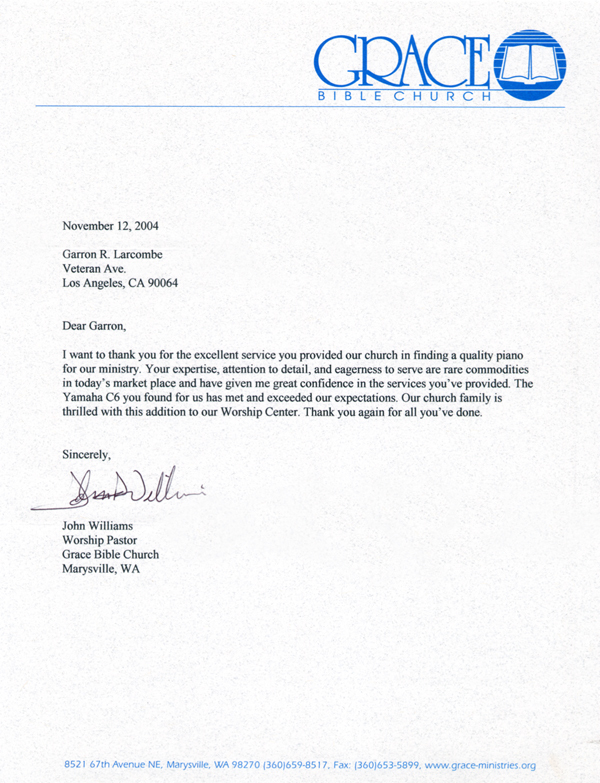 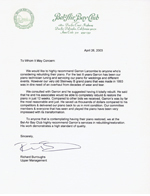 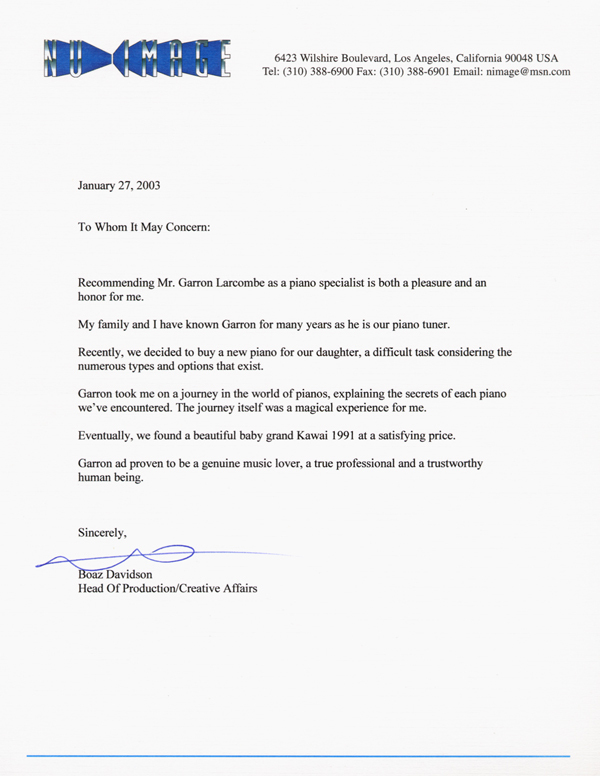 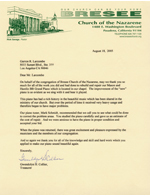 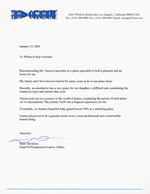 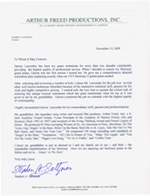 (These are 100% real letters from real people - not just typed words on a webpage). 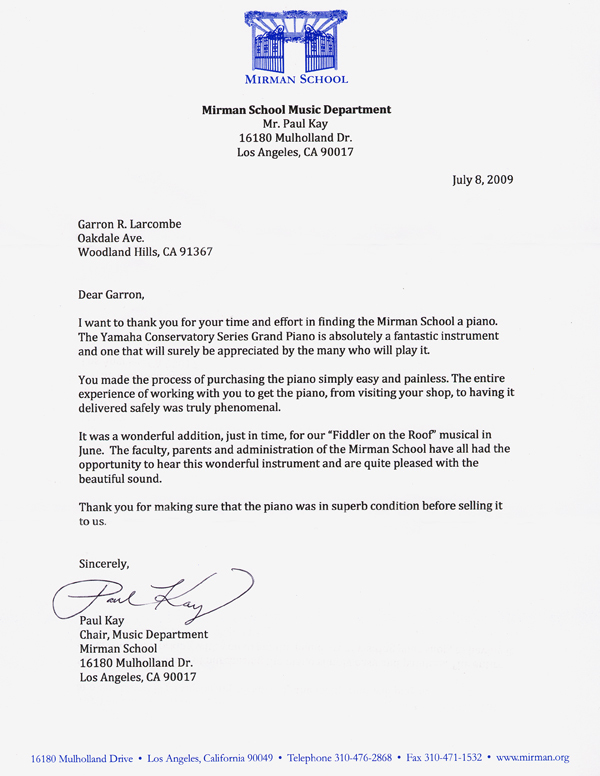 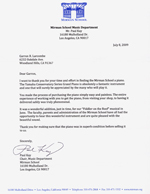 As the leading wholesaler in the Los Angeles area, we are proud to say we have donated pianos to local schools, music organizations, theatres, etc. 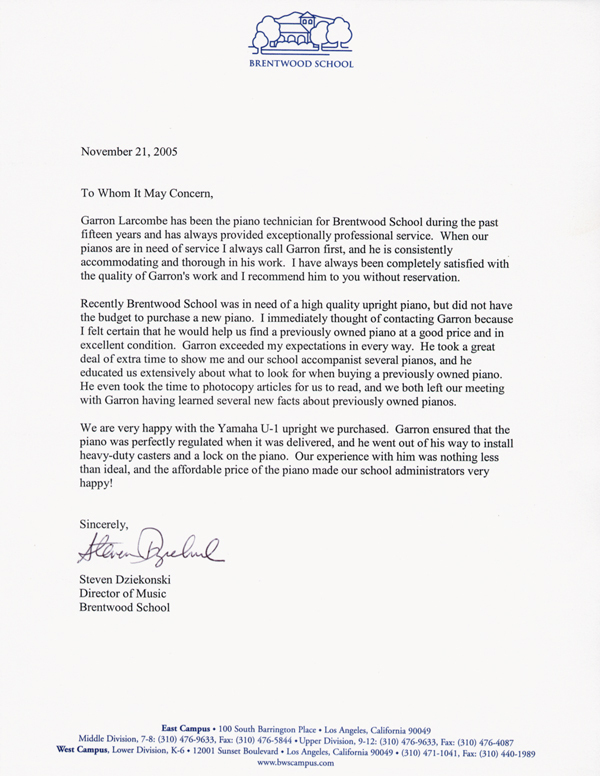 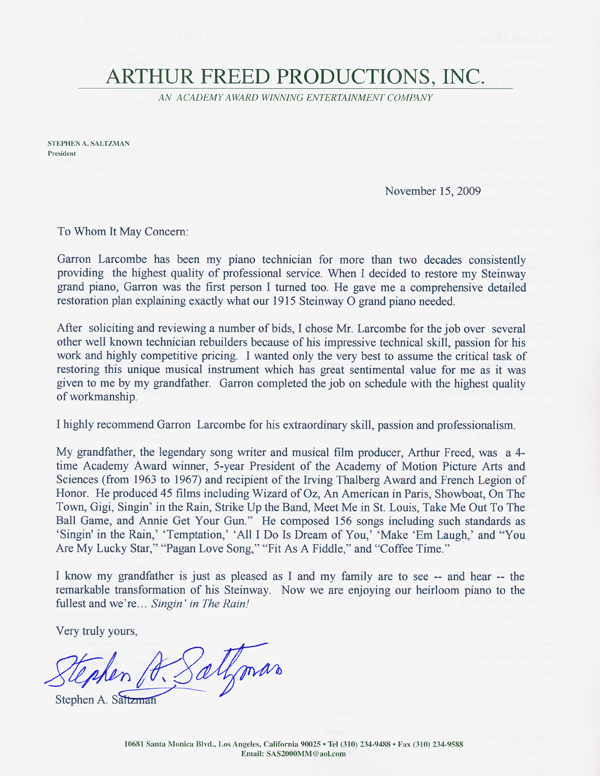 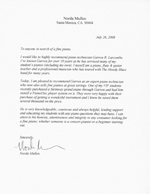 I have also been happy to donate my services as a piano technician to several great causes - Amie Karen Cancer Fund for Children, National Veterans Foundation, Friends of Animals, Huntington's Disease Society of America, etc. 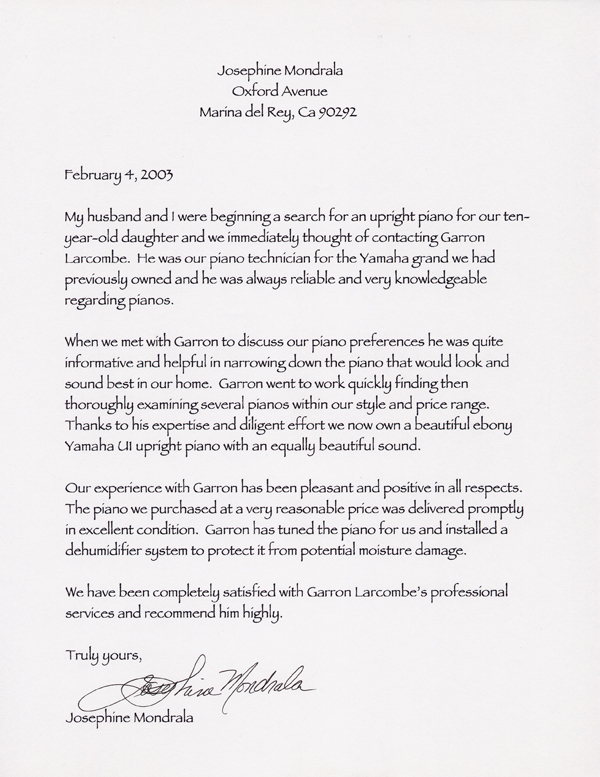 Selecting a piano should be a pressure-free and enjoyable experience. 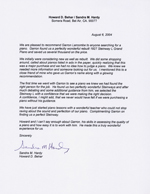 Our high standards and attention to detail gives clients the assurance that their pianos will be restored to showroom condition.